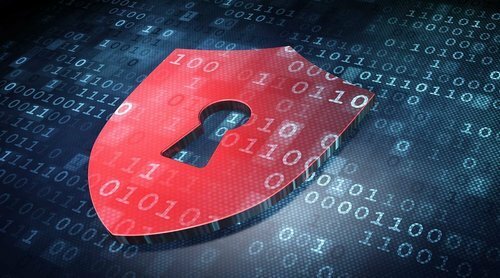 In a recent article on CSO Online, author Maria Korolov outlines the future of computer security and a current front runner, Dynamic Whitelisting. With the malware industry continuing to develop at an outstanding pace, businesses require security solutions that can stay ahead of advanced attacks like WannaCry Ransomware before they happen. CSO Online author Maria Korolov outlines the current trend of whitelisting solutions and their past in her recent article. Whitelisting solutions have been around for a very long time as application control or application whitelisting. They are very well known and are often looked down on because of the amount of work required to deploy and maintain them. In this past this has lead many companies and executives away from using a whitelisting solution even though it offers increased security. The headaches for IT and users at the company are deemed not worth it. However, a new type of whitelisting deemed Dynamic Whitelisting, an approach that PC Matic has been taking for several years, is able to alleviate those concerns. Dynamic Whitelisting solutions like PC Matic are able to remove a lot of the overhead required by taking on the overall whitelist management from the individual company. PC Matic maintains a whitelist on a global level that is constantly updated with new good software on a daily basis. This allows our customers to have the latest good software in their whitelist without having to manage it themselves. The dynamic approach provides the whitelisting model to a market that previously would not have considered whitelisting because of the work to deploy and maintain it. To read Maria’s full article on CSO Online, click here. Read more about PC Matic here. Read more about PC Matic Pro here. Application whitelisting is the same as antivirus blacklisting, only in reverse. Instead of maintaining a database of malware checksums, you maintain a list of legitimate software checksums. Anything not on the list is suspect. This is fine for the main big players in software, but not so good for the smaller players out there. To be accepted by users, there must be a mechanism to manually add your favorite title to the database. This is the achilles heel for application whitelisting. Once the user can override the system, malware authors can trick the user into whitelisting their app, and effectively bypass the controls. Application whitelisting works best in a corporately controlled environment, where the desktop user has no expectation of being able to install/use non-preapproved software. Application whitelisting has been in corporate use for years, in fact. That’s a great point David! With PC Matic we do offer a way for users to locally whitelist programs but it is not enabled by default. Because our malware team will see any unknowns that try to execute and analyze them within a few hours, it allows our users to take a hands off approach and let the experts take care of whitelisting new programs that aren’t on our global whitelist. If it quacks & looks like a duck ………..